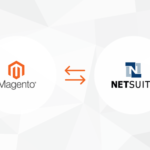 After spending a bit of time poking around a Magento 1 codebase, I was reminded that Magento 2 is going to be some developer’s first major experience with PHP namespaces. Beyond Magento, many PHP systems still live in a namespaceless world, and other systems do their best to shield developers from needing to understand namespaces. The primer below covers the bare minimum you’ll need to know to start working with namespaces in a PHP system that has fully embraced them. lives in the namespace with the name My\SpecialNamespace. That’s a top level “My”, and a second level “SpecialNamespace”. Unlike ruby and python, a file does not automatically get assigned a namespace based on how you include it, or what its file name is. That is, the entire thing, blackslashes and all, is the class’s full name. This can be a little weird getting used to (especially if you’ve ever worked with a windows file system!). After a few weeks of writing code this way you’ll quickly learn to see backlashes as part of a class’s name. Another thing to watch out for is using classes in a different namespace. For example, most built-in PHP classes are located in the global top level namespace. For example, if you tried using the following code. In the above code, we’ve told PHP to use the global class DomDocument. That’s not global as in global variables — that’s global as in it’s the “top” of the namespace hierarchy. That’s what the leading \ is for — it lets us use a full class’s name, even if we’re in a different namespace. If you don’t like the leading \, you have another option. PHP allows you to “import” a specific class into your file. You do this using the use keyword. Consider this last code example. The code above will run without issue, even though we’re not using a leading backslash with the \DomDocumentclass name. That’s because we first imported DomDocument into our local namespace with use DomDocument. This will work with any class, not just built-in PHP classes. Consider the Some\Other\Class\Thing class below. So that’s a very brief overview of namespaces in PHP. If you’re curious, you’ll definitely want to read the manual’s namespace section.. There’s one last thing we didn’t cover, and that’s how PHP namespace related to PHP class autoloading. In a word — they don’t. This is a big mental hurdle developers from other languages face when coming into modern PHP. PHP’s namespaces are purely conceptual. They don’t care how you end up includeing or requireing your class definition files. 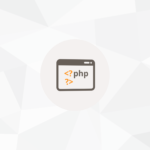 PHP has, and has had for years, a system called autoloading which allows a developer to define where PHP should load a class from when the developer instantiates an object. This means each framework (Symfony, Zend, Magento) decides how and where a class file is loaded. While Modern PHP developers have settled into a set of standards (PSR-0 and PSR-4) that define the how and why of PHP autoloading namespace classes, there’s nothing at the language level enforcing this. Understanding how your framework (or individual components) have implemented their autoload and namespace systems, and how these systems will fit in with your own, is a key skill any PHP developer will need to learn.